What are the differences between a trademark, service mark, certification mark, collective mark, trade dress, and trade name? I am asked the questions often enough that their answers are worthy of a blog post. A “trademark” is any word, name, symbol, or device, or any combination thereof, used by a party to identify and distinguish its goods from those manufactured or sold by others and to indicate the source of the goods (even if that source is unknown). See §45 of the Lanham Act (15 U.S.C. §1127). A “service mark” is the same as a “trademark” except that it is used by a party to identify and distinguish the services of that party from the services of others and to indicate the source of the services (even if that source is unknown). See §45 of the Lanham Act (15 U.S.C. §1127). The law specifically states that titles, character names, and other distinctive features of radio or television programs may be registered as service marks notwithstanding that they, or the programs, may advertise the goods of the sponsor. In short, the two basic functions of a trademark or service mark is 1) identifying the source and origin of particular goods or services and 2) distinguishing for the consuming public the goods or services of one party from the goods or services of others. That the work or labor on such person’s goods or services was performed by members of a union or other organization or by a person who meets certain standards and tests of competency set by the owner (e.g., UFCW UNION MADE certifying that the goods were produced by members of the United Food & Commercial Workers International Union and AFL-CIO). See §45 of the Lanham Act (15 U.S.C. §1127); see also prior blog post here on certification marks. A collective membership mark, which only serves to indicate membership in the collective group (e.g., the logo used by members of the Sheet Metal Workers International Association). While collective trademarks and service marks are classified in the international class as the underlying good or services which the collective mark identifies, a collective membership mark has its own international class (IC 200) (see 37 C.F.R. §6.4). One important distinction with respect to a “collective mark” compared to a trademark/service mark is that it only serves to indicate membership in the collective group – the collective group itself does not actually use the collective trademark or service mark to identify or distinguish any goods or services although it can advertise and promote the goods sold or services rendered by its members using the collective mark. “Trade dress” refers to the design or packaging of a product or service which serves to identify the source or origin of the product or service – the arrangement of identifying characteristics or decorations connected with a product or service (through its packaging, design, or otherwise) that make the source of the product or service distinguishable from others making the same products or offering the same services and which promotes the sale of such product or service. Trade dress involves the total image or overall appearance of a product or service, and includes, but is not limited to, such features as size, shape, color or color combinations, texture, graphics, and even particular sales techniques. See Two Pesos, Inc. v. Taco Cabana, Inc., 505 U.S. 763 (1992); Wal-Mart Stores, Inc. v. Samara Brothers, Inc., 529 U.S. 205 (2000); Traffix Devices, Inc. v. Marketing Displays, Inc., 532 U.S. 23 (2001); Int'l Jensen, Inc. v. Metrosound U.S.A., Inc., 4 F.3d 819 (9th Cir. 1993). In order for trade dress to be protected as a trademark or service mark, it must be a) nonfunctional and b) distinctive enough in the marketplace to serve as a source identifier (i.e. either because it is inherently distinctive, which is often the case for “product packaging,” or because the trade dress has acquired a secondary meaning, which is often necessary to show for “product designs”). A product feature is considered functional, and thus cannot serve as a trademark, if the product feature is essential to the use or purpose of the product or if the product feature affects the cost or quality of the product (i.e., exclusive use of the feature would put competitors at a significant, non-reputation-related disadvantage). See TrafFix Devices, Inc. v. Marketing Displays, Inc., 532 U.S. 23, 33 (2001); Qualitex Co. v. Jacobson Products Co., Inc., 514 U.S. 159, 165 (1995); Inwood Laboratories, Inc. v. Ives Laboratories, Inc., 456 U.S. 844, 850, n.10 (1982). The functionality doctrine prevents trademark law, which seeks to promote competition by protecting a firm’s reputation, from instead inhibiting legitimate competition by allowing a producer to control a useful product feature. It is the province of patent law, not trademark law, to encourage invention by granting inventors a monopoly over new product designs or functions for a limited time, 35 U.S.C. §§154, 173, after which competitors are free to use the innovation. If a product’s functional features could be used as trademarks, however, a monopoly over such features could be obtained without regard to whether they qualify as patents and could be extended forever (because trademarks may be renewed in perpetuity). Qualitex Co., 514 U.S. at 164-65. Some of the factors used by courts to determine functionality are: (1) whether there exists a utility patent directed to the design, (2) whether the owner touts the utilitarian advantages of the design in advertisements, (3) whether there are alternative and competitive designs, and (4) whether the design is cheaper and simpler to manufacture than alternative and competitive designs. 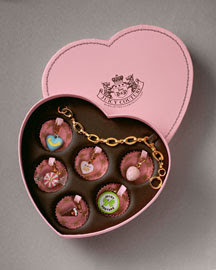 See In re Morton-Norwich Products, Inc., 671 F.2d 1332, 213 USPQ 9 (CCPA 1982). If trade dress is found to be functional, it will not be protected as a trademark or service mark regardless of the extent to which the public may attribute such trade dress to a single source and regardless of any public confusion over competing parties’ goods or services. You will sometimes hear the labels de facto functional and de jure functional. De facto functionality refers to a product design that may be functional but which is not necessary for its function (e.g., the design of the Coca-Cola bottle is functional, in that it serves as a container for Coca-Cola soda beverages; however, the particular design is not necessary for the bottle to serve as a container). This is the type of functional design that can be protected as a trade dress. De jure functionality, on the other hand, refers to a product design that, because of the particular design, provides the owner with a competitive advantage. This type of functional design cannot be protected as a trademark because such protection would allow a owner to control in perpetuity a “useful” product feature thereby inhibiting competition. Unlike a trademark or a service mark, which serves to identify and distinguish the source and origin of goods and services, a trade name is any word, name, symbol, or other designation, or any combination thereof, which serves to identify a particular business, vocation, or enterprise and which distinguishes such business, vocation, or enterprise from the business, vocation, or enterprise of another. See §45 of the Lanham Act (15 U.S.C. §1127); see also Restatement (Third) of Unfair Competition, §12 (1995). While trade names will typically include such entity designations such as “Inc.,” “Corp.,” “Company,” or “LLC,” a trade name can include the name under which the company is “doing business as” (d/b/a). In addition, a trade name does not function as a trademark or a service mark, and will not be protected as such, unless it somehow attaches to goods or services in such a way that purchasers and prospective customers would recognize the business identified by the trade name as the source and origin of such goods or services. A “house mark” is a mark that is used by a business in conjunction with a line of products to identify the business as the source of such products. A house mark is closely related to a trade name because often times a trade name will serve as a company’s house mark in conjunction with a trademark or service mark used to identify a specific product or service. For example, Toyota Corp. uses the Toyota trade name as a house mark in identifying its line of automobiles including TOYOTA SIENNA, TOYOTA COROLLA, TOYOTA CAMRY, and TOYOTA PRIUS. While house marks are often the same as the business’ trade name, a house mark can also be a separate trademark or service mark, such as the name CRAFTSMAN, which Sears uses in conjunction with a line of hardware tools. Finally, you will occasionally hear about a company that has a family of marks. A family of marks is a group of trademarks or service marks that have some kind of common element which allows consumers to recognize the source and origin of the goods or services identified as such. The classic example of a family of marks is McDonald Corp.’s use of the “Mc” prefix attached to some other word to identify one of its products or services including MCRIB, MCMUFFIN, MCFLURRY, etc. (For a recent blog post on McDonalds’ efforts to protect its family of marks, check out this post (here) on Michael Atkins’ Seattle Trademark Lawyer blog). Michael Atkins offers some excellent advice on his Seattle Trademark Lawyer blog about finding expert witnesses for trademark cases. One popular online source is the online expert witness directory JurisPro. Other expert witness websites listing the credentials of various trademark experts include ALMExperts.com, expertwitnesses.com, and Intota.com. Of course, one of the more interesting "trademark experts" out there touts his credentials via YouTube (link here). Of course, before you hire him, you may want to check out this wikipedia writeup or the string of posts about this expert on The TTABlog®. On April 21, 2008, a U.S. Magistrate Judge for the Eastern District of Texas issued his report and recommendations recommending that the district court grant a motion for summary judgment filed by Domino’s Pizza (“Domino's”) in a trademark infringement lawsuit brought by The Great American Restaurant Company (“Pizzeria”) over Domino’s use of the name “Brooklyn Style Pizza.” See The Great American Restaurant Company v. Domino's Pizza LLC et al, Case No. 07-cv-00052, 2008 U.S. Dist. LEXIS 32495 (E.D. Texas April 21, 2008). Noting that a trademark cannot be infringed by a generic term for the product it designates, the court analyzed Pizzeria’s claim of infringement by turning its focus to the classification of Domino’s “Brooklyn Style Pizza” mark (i.e., whether it is generic or, if descriptive, whether it has acquired a secondary meaning identifying the source of a product, and not just to identify the product itself). In order to demonstrate that the public perceives the Brooklyn Style Pizza mark as generic, Domino's submitted survey evidence, various newspaper advertisements mentioning “Brooklyn style pizza,” and 28 media articles referring to the term generically. Domino’s also noted that over a hundred restaurants around the country use the Brooklyn Style Pizza name and even the USPTO has recognized “Brooklyn style pizza” as a generic term not entitled to protection. Schwartz [Pizzeria’s expert] then devotes four pages of his affidavit directing the Court to where the best pizza can be found and how it is made -- a must read for any pizza maven. Where is the best pizza? According to Schwartz, it is not Domino's, but probably at Di Fara's, which has recently been reopened after having been closed down by the health department. Equally interesting is that Di Fara uses sheep's milk cheese. 2008 U.S. Dist. LEXIS 32495 at *10. If nothing else, this whole exercise has been a learning experience in defining what a Brooklyn style pizza is. One of Domino's exhibits states that its allure is so powerful that Carmine Giovianzzo (CSI: NY) still walks the streets of Southern California in search of a Brooklyn style pizza (evidently he didn't find it at Domino's). So, in the end analysis, if you are from Brooklyn, you may know what it is or what it is not, but, in any event, the mere mention of [“Brooklyn Style Pizza”] doesn't conjure up the image of a $ 9.99 pizza delivered in a cardboard box with a red domino on it. 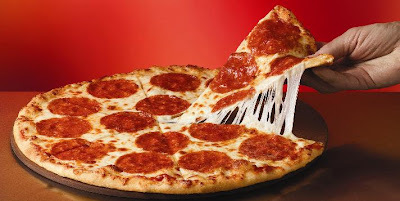 Finally, Pizzeria had also sought injunctive relief under the Texas Anti-Dilution Act (see TEX. BUS. & COM. CODE § 16.29). Because the statute allows for recovery without a showing of likelihood of confusion, the court did not grant summary judgment with respect to this claim; however, because this state law claim was the only remaining claim, the court declined to exercise supplemental jurisdiction over the claim (see 28 U.S.C. § 1367 (c)(3)) and recommended it be dismissed without prejudice. Around the time Domino’s introduced its Brooklyn Style Pizza, The New York Times ran an article (link here) about the authenticity of Domino’s Brooklyn style pizza – and addresses the issue of what exactly constitutes a "Brooklyn style pizza." Any reader thoughts about the issue of Brooklyn style pizza? On April 21, 2008, Caribbean Crème, Inc. (“CCI”), a St. Louis, Missouri-based company that produces and sells equipment to make a fruit smoothie by the name “Caribbean Crème,” filed a trademark infringement lawsuit against Krispy Kreme Doughnuts, Inc. and other affiliates companies (“Krispy Kreme”) in the U.S. District Court for the Eastern District of Missouri to stop the famed doughnut maker from selling a frozen beverage drink it calls “Caribbean Kreme.” See Caribbean Creme, Inc. vs. Krispy Kreme Doughnuts, Inc., et al., Case No. 08-cv-00541 (E.D. Mo. April 18, 2008). A copy of the complaint (courtesy of TMZ.com) can be downloaded here. 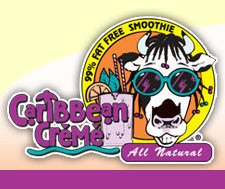 CCI holds a trademark registration for the design mark CARRIBEAN CRÈME (and Design) (pictured above on the left) for non-dairy, flavored frozen confections and ice cream drinks. 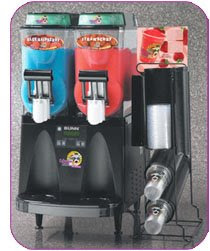 According to the complaint, CCI has been selling its flavored semi-frozen drink under the name “Caribbean Crème” flavored since 1994. Krispy Kreme, in addition to its popular line of doughnuts, has been selling a line of flavored frozen smoothies called Chillers. 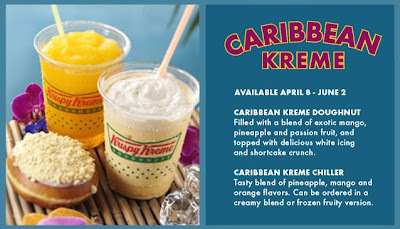 Sometime before April 8, 2008, Krispy Kreme introduced a new “limited time” (until June 2nd) Chiller flavor called Caribbean Kreme Chiller coinciding with Krispy Kreme limited-time specialty Caribbean Kreme Doughnut. One wonders why CCI did not seek (at least not yet) any kind of preliminary injunction. After all, by the time this case gets anywhere, Krispy Kreme will no longer even be selling the Caribbean Kreme. If CCI was really serious about this infringement and wanted to stop it, why would it not seek an immediate preliminary injunction -- unless perhaps CCI realized its tenuous case for likelihood of success on the merits (weak mark, dissimilar marks when viewed in their entirety, no competitive proximity, Krispy Kreme's intent). The only factors seemingly favoring CCI are identical goods and low degree of care by purchasers (a factor that some Eighth Circuit decisions have recognized in deciding likelihood of confusion). Should CCI decide to push the case, the parties will likely reach some kind of settlement. One wonders if CCI would have still had an issue if Krispy Kreme had chosen the name “Karibbean Kreme” – a much more fanciful mark more in line with the company’s famous KRISPY KREME mark and which is one additional "K" removed from CCI's mark. 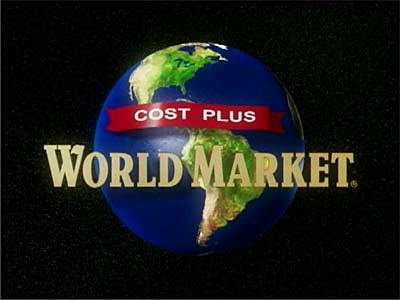 I previously wrote (link here) about the trademark infringement lawsuit filed by Cost Plus World Market against the Las Vegas-based World Market Center over the mark WORLD MARKET CENTER. See Cost Plus Management Services, Inc. et al v. World Market Center Venture, LLC, Case No. 07-cv-00156 (D. Nev.). (Links to other news stories on the lawsuit can be found here, here, and here). The parties announced yesterday (link to press release here) that they have reached an agreement that will allow both businesses to continue to use their respective logos and names and which will dismiss the pending lawsuit. I am very pleased that we were able to come to a fair and equitable resolution to these trademark and brand-related issues. We believe this agreement preserves the integrity of both brands and allows each of us to move forward with our unique and compelling business models. Naturally, the terms of the agreement were not disclosed. In the trial of the lawsuit filed by J.K. Rowling and Warner Bros against RDR Books over its planned publication of the “Harry Potter Lexicon” (a print version of the free-of-charge Harry Potter Lexicon fan website - http://www.hp-lexicon.org/ - created by Steven Vander Ark), so much of the media attention has focused on the copyright infringement claims that I was beginning to wonder when the parties would get around to the “good stuff” – namely, the claims for trademark infringement and unfair competition that were part of the original and amended complaint. See Warner Bros. Entertainment Inc. et al v. RDR Books et al, Case No. 07-cv-09667 (S.D.N.Y. ); see also previous blog posts here and here. Well, either through wizardry or good lawyering, it appears that the parties may have reached a settlement of those claims. As reported by the WSJ.com Law Blog today (link here), the lawyers informed the court this morning that they had reached a settlement on the false advertising and deceptive trade practices claims whereby RDR agreed not to use J.K Rowling’s name nor her quote endorsing the online version of the Lexicon on the cover of the book version. In addition, Anthony Falzone, the executive director of the Fair Use Project at Stanford University’s Center for Internet and Society, who is one of the attorneys representing RDR Books, also informed the court that the parties want to “paper a settlement” on the trademark infringement and unfair competition claims. Sounds like the parties have reached an agreement on the disclaimer to be used on the book’s cover and elsewhere (and possibly an agreement not to use the stylized Harry Potter mark) in order to prevent the public from being confused as to any affiliation, connection, or association of the publisher with Rowling and Warner Bros. or as to the origin, sponsorship, or approval of the Lexicon by Rowling and Warner Bros. It was quite a week for restaurant name trademark disputes. On Thursday, the big story (here and here) was about the Los Angeles-based chicken and waffles chain “Roscoe's House of Chicken 'n Waffles” (“Roscoe’s”) The restaurant chain filed a trademark infringement lawsuit against the owner of “Rosscoe's House of Chicken and Waffles” (“Rosscoe’s”) in Chicago (two “S”’s and the word “and” instead of an ampersand), for infringement of its service mark ROSCOE'S HOUSE OF CHICKEN N WAFFLES (pictured below). See East Coast Foods, Inc. v. VFJ Enterprises, Inc. et al, Case No. 08-cv-01990 (N.D. Ill. April 8, 2008). At the court’s hearing on Roscoe’s motion for a temporary restraining order, it was announced that the parties had reached an agreement as to a temporary restraining order. Rosscoe’s agreed to remove the name from all signs and menus by next Wednesday and change the name to Chicago's House of Chicken and Waffles. Meanwhile, attorneys for Roscoe's are indicating that they still plan to seek damages for Rosscoe’s infringement of its trademark. At the conclusion of the hearing, U.S. District Judge Samuel Der-Yeghiayan was quoted as saying: "I see that both parties understand the issues and facts of life and none of the parties are waffling on the issue." 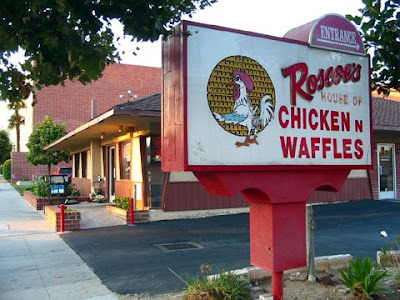 One interesting aspect of the case is that Roscoe's apparently allowed Rosscoe's to operate a “Rosscoe's House of Chicken and Waffles” in New York for eight years without any claims of infringement. Roscoe's founder and long-time owner, Herb Hudson, was quoted as saying that he had no plans to expand to the New York market, and thus did not have a problem with the New York Rosscoe’s. But Hudson did have plans to open in Chicago next year, thus the reason behind the lawsuit to stop Rosscoe's this time. One wonders whether Roscoe's considered the consequences of not enforcing its trademark rights throughout the entire U.S. Roscoe's lack of enforcement with respect to a confusingly similar mark in New York ultimately diminishes the ability of the mark to serve as a unique source identifier, and thus it value as a service mark. The story below demonstrates what can happen to a prior user’s trademark rights when an owner does not take steps to vigorously enforce such rights. On Friday, the trademark news story of the day (link here) was about a jury verdict in an ongoing trademark battle in the New York city area over the name “Patsy’s” between Patsy's Italian Restaurant and Patsy's Pizzeria (background articles here, here, here, and here). Patsy's Italian Restaurant filed this particular trademark infringement lawsuit against the owners of Patsy's Pizzeria in October 2006. See Patsy's Italian Restaurant, Inc. v. Banas et al, Case No. 06-cv-05857 (E.D.N.Y. October 30, 2006). Patsy's Italian Restaurant, located in Manhattan's theater district, was founded in 1944 by Pasquale "Patsy" Scognamillo and claims to have been patronized by celebrities from Frank Sinatra and Tony Bennett to Jennifer Lopez and George Clooney. Patsy's Pizzeria, on the other hand, opened up in Syosset, New York in 2006, after obtaining a license to use the name from the owner of the original Patsy's Pizzeria located in East Harlem which was founded in 1933 by Patsy Lancieri. In 1991, Lancieri's widow sold Patsy's Pizzeria, and the new owner soon after began expanding the pizzeria chain to six locations in Manhattan, one in Long Island, and then to Syosset. While the jury found that there was a likelihood of confusion between the two restaurant names, the court did not yet order an injunction stopping Patsy's Pizzeria from using the name nor has the issue of damages been determined. A hearing on Patsy's Italian Restaurant’s request for injunctive relief is set for sometime in August. This dispute between the two “Patsy’s” restaurants goes back almost ten years, and has quite an interesting procedural posture both in federal court and at the Trademark Trial and Appeal Board (“TTAB”). For a detailed background on one part of the dispute, read the published decision Patsy’s Brand, Inc. v. I.O.B. Realty, Inc., 317 F.3d 209, 65 USPQ2d 1442 (2d Cir. 2003). The two businesses coexisted for nearly half a century. In 1993, the owners of Patsy's Italian Restaurant decided to begin selling pasta sauces in jars for retail distribution and formed Patsy's Brand Inc. (“PBI”), which filed an intent-to-use application to register its mark PATSY’S PR SINCE 1944 (stylized) for sauces. The mark was registered January 17, 1995 (with Patsy’s claiming first use in February 1994). Meanwhile, Patsy’s Pizzeria, through I.O.B. Realty, Inc. (“IOB”), had received two registrations for the marks PATSY’S and PATSY’S PIZZERIA (both for restaurant services) registered in May 21, 1996 and December 29, 1998, respectively. On October 9, 1998, IOB filed a petition to cancel PBI’s registration for sauces alleging likelihood of confusion over its registrations. See I.O.B. Realty, Inc. v. Patsy's Brand, Inc., Cancellation No. 92028142 (TTAB October 9, 1998). Not only did PBI deny the allegations and assert the affirmative defense of estoppel, laches, and acquiescence, PBI turned around and filed its own petition to cancel IOB’s two registrations based on likelihood of confusion over its registered mark as well as fraud on the part of IOB. See Patsy's Brand, Inc. v. I.O.B. Realty, Inc., Cancellation No. 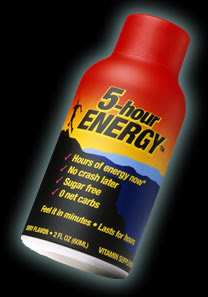 92029614 (TTAB October 28, 1999). Theses cancellation proceedings were suspended sua sponte by the TTAB on June 21, 2000, when the TTAB was informed of a lawsuit filed by PBI on September 30, 1999 in the U.S. District Court for the Southern District of New York, alleging inter alia, trademark infringement, seeking cancellation of IOB’s registered mark PATSY’S, and seeking an order withdrawing IOB’s cancellation petition. See Patsy's Italian Restaurant, Inc. v. IOB Realty et al, Case No. 99-cv-10175 (JSM) (S.D.N.Y.). The district court in that case granted PBI’s motion for summary judgment, finding infringement, entered an injunction, and ordered the PTO to cancel IOB’s PATSY’S registration. On appeal to the Second Circuit, the court affirmed the district court’s decision regarding likelihood of confusion. The court also held that while IOB may have originally had priority with respect to the name PATSY’S, its long-standing tolerance of the use by Patsy’s Italian Restaurant prevented IOB from stopping Patsy’s Italian Restaurant from using the name for restaurant services. Because the parties’ rights to use the PATSY’S name for restaurant services was equal, IOB had no grounds for objecting to Patsy’s Italian Restaurant's expansion into the “related market” for sauces. The Court of Appeals, however, did find the district court exceeded the scope of the litigation by restricting IOB’s use of the mark PATSY’S in connection with restaurant services and modified the district court’s injunction to remove the order to the PTO to cancel IOB’s PATSY’S registration. Unfortunately, PBI, soon after the district court’s decision but before IOB had filed its appeal, filed a motion with the TTAB on October 18, 2001, to resume the cancellation proceeding. 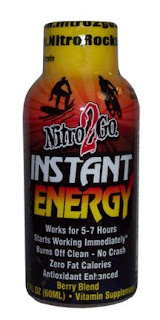 PBI did not notify the TTAB of IOB’s appeal to the Second Circuit. Because IOB did not file a response to PBI’s motion, the TTAB granted PBI's motion and granted PBI's petition to cancel IOB’s PATSY’S registration and dimissed with prejudice IOB’s cancellation proceeding against PBI. On March 28, 2003, the TTAB sua sponte issued an order to IOB to show cause why judgment should not be entered against IOB on the PATSY’S PIZZERIA registration, which was also part of PBI’s original cancellation petition. By this time, the Second Circuit decision had been rendered, and IOB informed the TTAB of the decision by the Court of Appeals reversing the district court’s order to cancel IOB’s registration. PBI continued to maintain that IOB’s registrations should be canceled because IOB “had lost interest” and because of IOB’s false statement that it had exclusive right to use the mark, when the Second Circuit had held that both parties have an equal claim to the name. Unfortunately for IOB, on May 27, 2003, the Commissioner for Trademarks went ahead and ordered the cancellation of both of IOB’s registrations because the TTAB had erroneously prepared and forwarded an order for the Commissioner to sign – even though the TTAB’s original order did not formally order IOB’s PATSY’S PIZZERIA registration to be canceled. Further complicating matters is that when PBI filed its lawsuit against IOB, PBI also filed a new application to register the mark PATSY’S PR (stylized) for restaurant services and for PATSY’S (for restaurant services not including pizza). While these applications were at first rejected as likely to be confused with IOB’s registrations, when those registrations were prematurely canceled, the PTO withdrew its rejections and allowed PBI’s marks to be published and subsequently registered on November 1, 2005. On that same day, IOB filed another application to register the mark PATSY’S PIZZERIA for (restaurant services, namely, take-out restaurant services). That application was rejected by the PTO on grounds of likelihood of confusion over the above two registrations held by PBI for restaurant services as well as two additional pending applicaitons filed by PBI (PATSY'S OF NEW YORK for restaurant services and PATSY'S for frozen eggplant parmigiana). Perhaps because of the PTO's rejections, on January 9, 2007, I.O.B. Realty filed two petitions to cancel each of PBI’s new registered marks. See I.O.B. Realty, Inc. v. Patsy’s Italian Restaurant, Cancellation Nos. 92046912 and 92046867 (TTAB Jan. 9, 2007). Of course, these cancellations were subsequently suspended once they became the subject matter of the federal district court lawsuit filed by Patsy’s Italian Restaurant. Interestingly, the Examining Attorney, in a subsequent non-final office action, maintained the 2(d) refusal to register IOB's mark, but only citing the PATSY'S OF NEW YORK and PATSY'S (eggplant parmigiana) registrations. Further proceedings on this particular application were suspended December 30, 2007. To add insult to IOB’s injury, the TTAB, on June 28, 2007, upon reviewing and recounting the “tortured procedural history” of the case (link here), cancelled IOB’s registrations under §8. After PBI noted that IOB had not made the required filings under §8 (declaration of use) of the Lanham Act, the TTAB ordered the register to be corrected to reflect that IOB’s registrations were canceled on such basis – even though such a filing would not have been approved given its cancelled status. 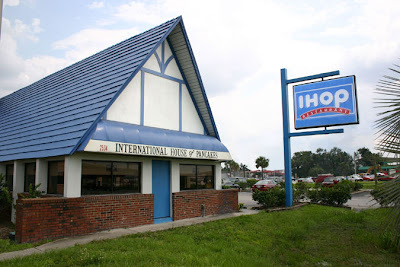 The TTAB refused IOB’s request for reconsideration. On August 28, 2007, the judge in the above district court case ordered the PATSY’S PIZZERIA registration restored under §37 of the Lanham Act (15 USC §1119), but no action has been taken until such time as the court’s order is final (the court was unwilling to certify the order as final to allow IOB to pursue an immediate appeal). Only time will tell if the most recent jury verdict will start to bring some order to the "procedural morass" (the TTAB's own words) in this case. Given the long-running nature of the dispute, however, one highly doubts that this dispute will end at the district court level. In addition to the Eleventh Circuit’s decision late last week regarding the mark ANGEL FLIGHT (discussed here), there was another trademark related decision published yesterday by the Eleventh Circuit Court of Appeals in a case involving trademark infringement arising from the use of trademarked terms in website metatags. See North American Medical Corp. v. Axiom Worldwide, Inc., Case No. 07-11574 (11th Cir. April 7, 2008). Eric Goldman on his Technology and Marketing Blog (link here) describes the decision as a “bizarre and frustrating ruling." The lesson learned – to the extent that you insist on using trademarked terms in your website’s metatags, make sure that the words themselves are not displayed along with your website in the search engine results and make sure that the terms are used in such a way where they would be deemed comparative advertising. Of course, the safest course of action would be not to use trademarks in your metatags at all.